There is still time to treat family and friends to the perfect holiday dinner. By Jacqueline Cain·	 11/12/2018, 11:18 a.m.
Has Thanksgiving snuck up on you, early as it is this year on November 22? Don’t scramble under the stress of pulling together Thanksgiving Day dinner—leave it up to the pros with Thanksgiving reservations in Boston. These 17 restaurants are still taking reservations for Thanksgiving Day, from family-style prix-fixe menus at a well-appointed Copley Square hotel, to casual a la carte options at cozy Cambridge pubs. Relax, and enjoy the holiday season. Take a holiday stroll around Faneuil Hall before or after a meal at this Market Street restaurant, which is serving the full menu plus Thanksgiving specials all day. 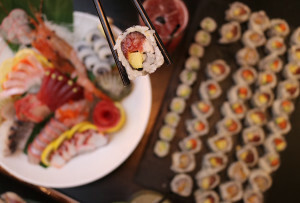 Priced a la carte, 11 a.m.-11 p.m., 101 South Market St., Faneuil Hall, Boston, 617-720-5570, anthem-boston.com. Bring the family to the Ritz-Carlton for a prix-fixe menu with dishes like cranberry-kale and farro salad, and mashed potatoes with truffle oil. Kids eat for $28, and they’ll likely enjoy the pastry table. $55, 11 a.m.-3 p.m., Artisan Bistro at The Ritz-Carlton, 10 Avery St., Boston, 617-574-7176, artisanbistroboston.com. A Friendsgiving menu is available from Friday, Nov. 16 through Sunday, Nov. 25, including on Thanksgiving Day. 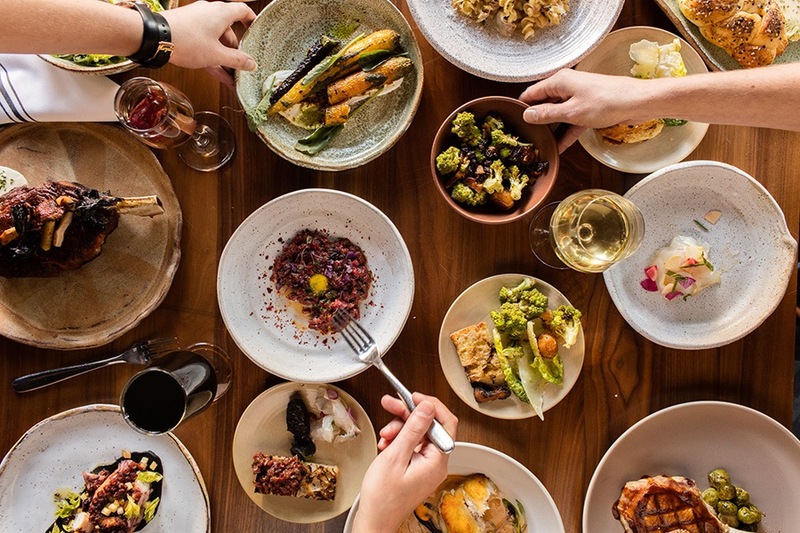 Reserve a table for 4-12 guests for a feast that starts with chef David Bazirgan’s house-made choereg bread; and continues with roast turkey, and sides like pumpkin falafel, and beet and apple salad. Alcohol isn’t included in the fixed price, but the staff will gladly help you choose wine for the table. $45, 5:30-9 p.m., Bambara Kitchen & Bar, 25 Edwin H. Land Blvd., Cambridge, 617-868-4444, bambara-cambridge.com. Both locations are open Thanksgiving Day with their full steakhouse menus, plus holiday specials including a complete Thanksgiving dinner for $49. Priced a la carte, 1375 Washington St., South End, 617-227-5011; 52 Temple Pl, Downtown Crossing, 617-982-7130, Boston, bostonchops.com. Every meal at chef Mary Dumont’s Ames Hotel restaurant is informed by the harvest, from regional farms as well as from the proprietary hydroponic garden on-site. On Thanksgiving, the Misty Knoll Farms turkey—or venison, or parsnip cake—comes with plates like foraged mushroom toast, and a Cultivar-grown salad on the three-course prix-fixe menu. 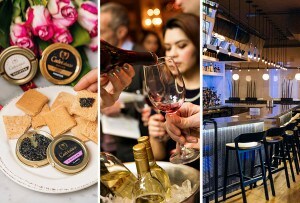 Add on an optional wine pairing ($55), and look forward to dessert. $75, 1 Court St., Boston, 617-979-8203, cultivarboston.com. Make this Thanksgiving special with a three-course menu that could look like Scituate lobster, chestnut, apple, and pancetta; Misty Knoll turducken with Robuchon potatoes; and apple tatin with spiced rum ice cream. Make it really special with add-ons including luxury white truffles, and a $49 wine pairing. $89, 371 Commonwealth Ave., Boston, 617-517-5915, deuxave.com. Take the family to this cozy Harvard Square pub, which is serving dinner (plus holiday specials) until 9 p.m. and has the full bar open ’til 11 p.m. Priced a la carte, 11 a.m.-9 p.m., 1230 Mass Ave., Cambridge, 617-497-0400, graftonstreetcambridge.com. If the family prefers seafood even on Thanksgiving, check out this Harvard Square spot for full-menu selections such as salt-crusted bronzini, and a lobster roll with a touch of mayo. There will also be seasonal specials, including roast turkey with oyster-cornbread stuffing. Priced a la carte, noon-9 p.m., 15 Dunster St., Cambridge, 617-765-2342, thehourlycambridge.com. 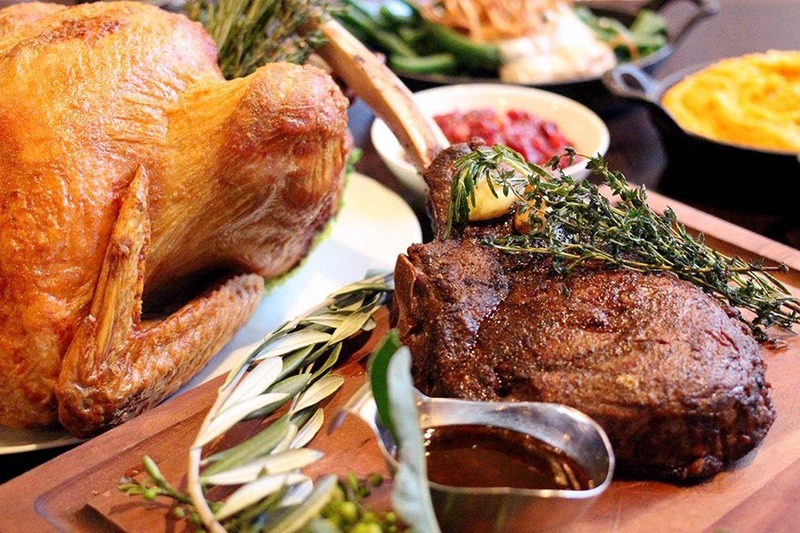 Oak Long Bar and Kitchen is serving up Thanksgiving at the Fairmont Copley Plaza. 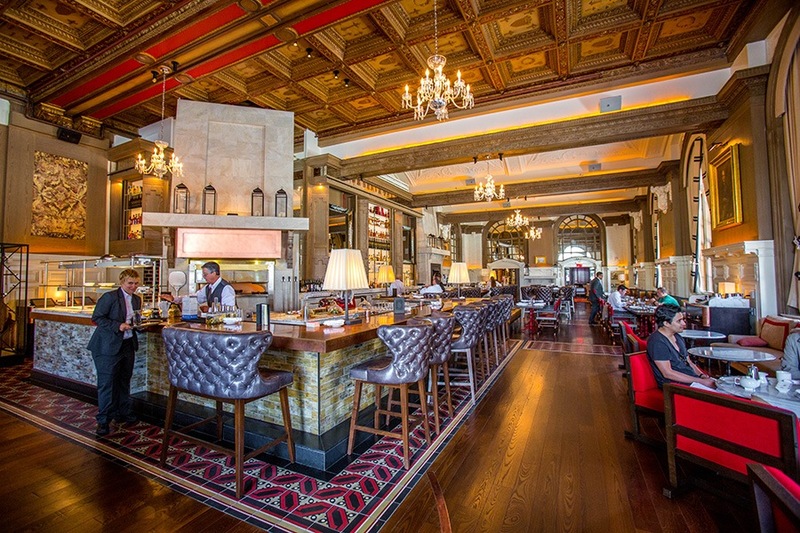 Get comfortable in this well-appointed bar at the Fairmont Copley Plaza to feast, family-style. Options include lobster bisque, a market salad with local apples, hearth-baked bread, heritage turkey, Kennebunc mashed potatoes, cranberry sauce, and more. Chef Graham Lockwood will also have modified a la carte menus on throughout the day, including for breakfast and late-night dining. Pastry chef Lindsay Le Blanc, meanwhile, is prepping pumpkin cheesecake and apple pie. 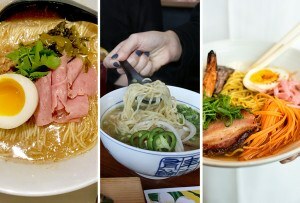 $65, noon-9 p.m., 138 St. James Ave., Boston, 617-585-7222, oaklongbarkitchen.com. There will be something for everyone here, as the full menu is on all day with char siu pork belly fried rice, the PARK patty melt, meat pie of the day, and more, alongside Thanksgiving specials. The bar is open until 11 p.m.
noon-9 p.m., 59 JFK St., Cambridge, 617-491-9851, parkcambridge.com. 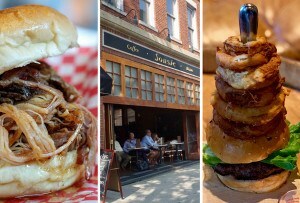 This South End bistro is open regular hours with the regular menu. Choose among French favorites, from boeuf bourguignon to scallops, saffron, and leeks in puff pastry; but there are Thanksgiving specials like roast turkey and pecan pie, too. Priced a la carte, 480 Columbus Ave., South End, Boston, 617-867-0600, petitrobertbistro.com. A maple-bourbon-glazed turkey duo with apple-sage stuffing, oyster mushrooms, and green bean casserole is the traditional centerpiece you could choose here, but the full menu is also available. Priced a la carte, 11 a.m,-9 p.m., 14 JFK St., Cambridge, 617-500-3055, russellhousecambridge.com. 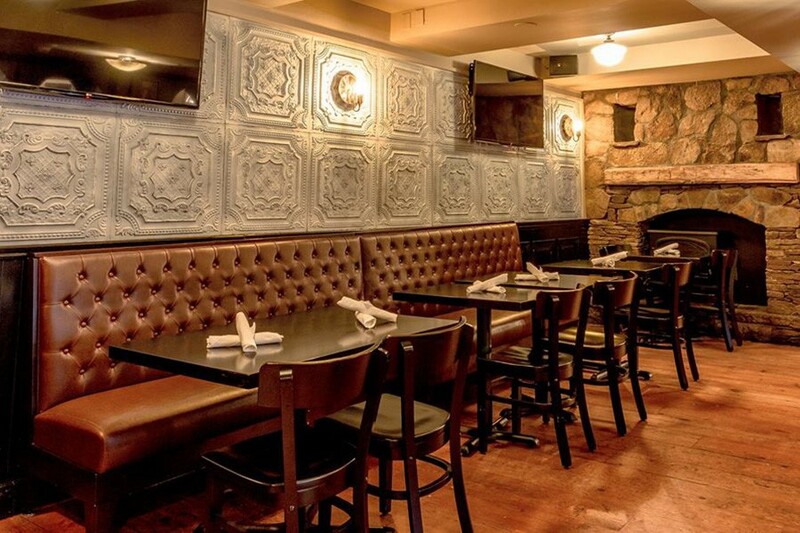 Get comfortable at this Back Bay pub with acorn squash bisque, roasted prime rib, and more specials alongside the regular menu. Priced a la carte, 710 Boylston St., Boston, 617-933-4803, solasboston.com. Enjoy a quiet moment on Newbury Street before the holiday shopping rush. Sonsie is open all day on Thanksgiving with its full menu, plus traditional turkey dinner options. 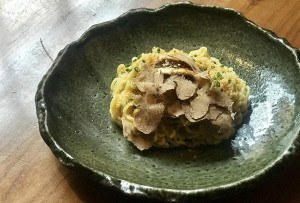 Priced a la carte, noon-9 p.m., 327 Newbury St., Boston, 617-351-2500, sonsieboston.com. Create a spread of comforting dishes (potato agnolotti with speck, celery root, and Burgundy truffle), pizzas, global flavors (Thai beef salad), and classic Thanksgiving plates from this mainstay American bistro. Priced a la carte, noon-9 p.m., 1688 Mass Ave., Cambridge, 617 547 5055, templebarcambridge.com. With everything from lobster bisque to steak frites to a quinoa burger to Spanish chorizo pizza, this Long Wharf location is open all day. Turkey, apple tart, and more are also in the works. Priced a la carte, noon-9 p.m., 255 State St., Boston, 617-863-8363, statestreetprovisions.com. 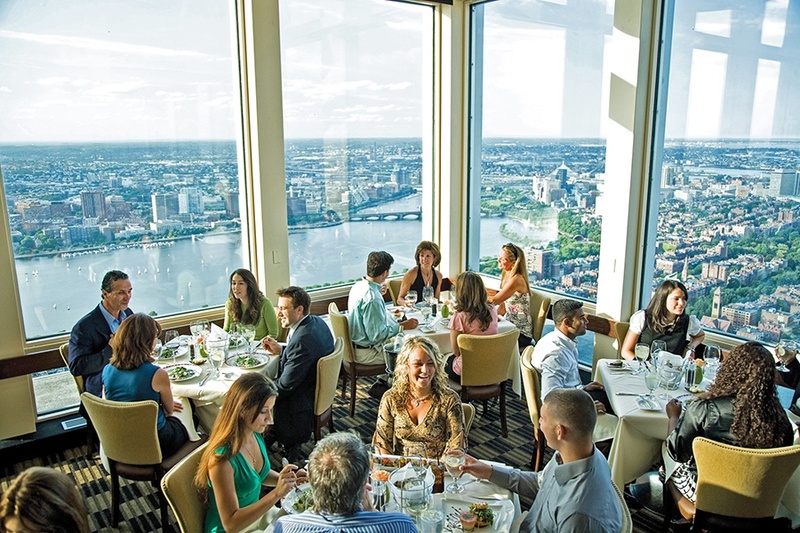 No matter who’s around the table, you can’t argue with panoramic views of Boston from the 52nd floor of the Prudential Tower. The Thanksgiving Day ambiance is further elevated with live jazz, and admission to the Skywalk Observatory included in the fixed price. Take it all in over four courses, like Misty Knoll Farms turkey, roasted sugar pumpkin soup, harvest vegetable ravioli, and more. Reservations are required. $79 ($35 for children 6-12), 11:30 a.m.-8 p.m., 617-536-1775, topofthehub.net.